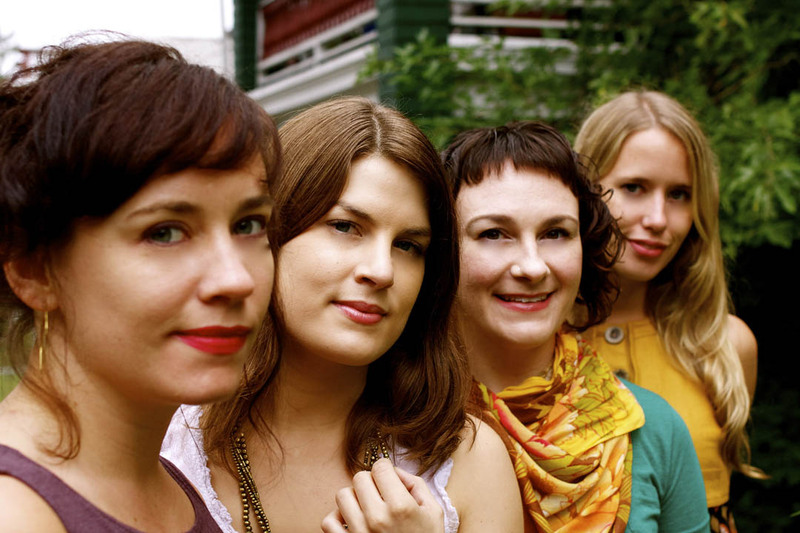 The Forge: Irish flutist Nicole Rabata, bodhranist Anna Colliton, fiddler Cara Frankowicz and singer-harpist Maeve Gilchrist. The first weekend of March will be a rich one at Bates College for music lovers, as an avant-garde duo, an up-and-coming Irish-style band and a program of Beethoven sonatas are all bound for the Olin Arts Center Concert Hall. 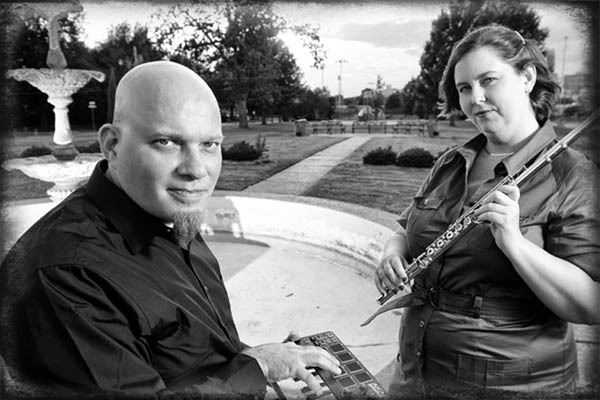 Combining flute with electronic and computer-based music, DuoInteraktiv performs at 7:30 p.m. Friday, March 1. Well-known to Maine audiences, violinist Dean Stein and pianist Chiharu Naruse perform the second of three concerts surveying Beethoven’s sonatas for those instruments at 3 p.m. Sunday, March 3. The program consists of Sonata No. 5 in F major (Op. 24, “Spring”); No. 10 in G major (Op. 96) and No. 6 in A major (Op. 30, No. 1). Read more about Stein and Naruse. The concert hall is located at 75 Russell St.
DuoInteraktiv: Reiner Krämer and Patricia Surman. Admission to DuoInteraktiv is free, but tickets are required. Admission to Stein and Naruse is $10. Tickets to The Forge, part of Bates’ Olin Arts Alive series, are $12. For the latter two concerts, tickets are available at batestickets.com. Limited numbers of free tickets are available to seniors and students by reservation for the Beethoven and Forge programs; please contact 207-786-6163 or olinarts@bates.edu. For more information, please call 207-786-6135. DuoInteraktiv: Based at Northeastern State University in Oklahoma, DuoInteraktiv creates and performs music that fuses the worlds of traditional acoustic instruments, electroacoustic principles and computer science into a single entity. This collaboration between computer operator and music theorist Reiner Krämer and flutist Patricia Surman was formed with the goal of bringing the little-performed works for flute and computer to an audience at large. DuoInteraktiv received the 2011-12 Yamaha / College Music Society In-Residence Fellowship. The Forge: The Forge is composed of bodhranist Anna Colliton; fiddlist Cara Frankowicz; harpist and vocalist Maeve Gilchrist; and flutist Nicole Rabata. They have appeared together throughout North America, Europe and Asia. As individual artists, they have performed with renowned performers such as the Chieftains, the Three Irish Tenors and Capercaille.